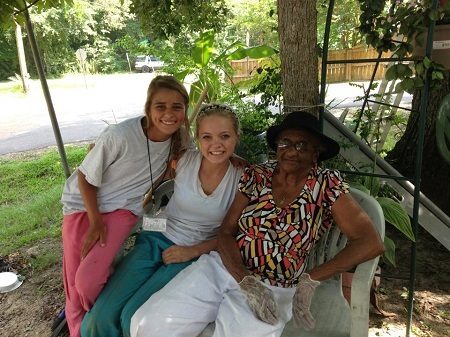 Nearly 20 years ago, the youth group from Trinity United Methodist Church in Ruston participated in Mountain T.O.P, an outreach project associated with the Tennessee Conference of The United Methodist Church. The youth were encouraged to “take what they had learned” back to their conference, repairing and painting homes for those who are most vulnerable in their communities. 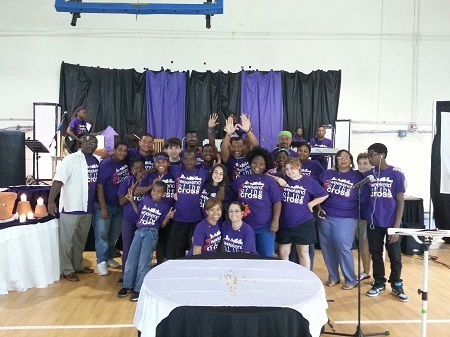 From that “mountain top” experience, the seeds were planted for Weekend of the Cross, a four-day mission event held in Alexandria, Ruston, Shreveport, Sulphur, New Orleans and the Northshore area of Louisiana. Most of this year’s events were held July 25-28 throughout the state. Although repair and maintenance projects are a vital part of the weekend, organizers encourage youth and adult volunteers to build relationships with the homeowners they are helping. “Our worksite coordinators understand that every project may not be completed due to bad weather or unforeseen difficulties. We can always bring skilled labor in for a day to finish the work. We desire much more for the homeowners to know that this is not just a project to complete, but that we are there to show Christ’s love,” said Jeff Hogg, program director for North Cross UMC and one of the organizers for the Northshore event. This past weekend, WOC participants not only provided help to underserved citizens, but they enjoyed worship, music, dynamic speakers and Bible study while forming new friendships with volunteers from other churches. When the dust settled and the paint brushes were laid down, close to 500 volunteers served others while sharing the love of Jesus Christ. 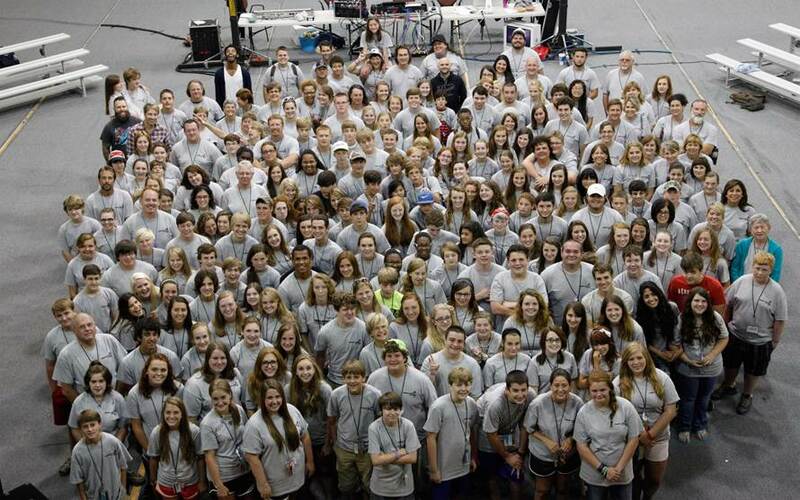 Participants in the Weekend of the Cross in Shreveport are shown, top, and enjoy music during worship, left. WOC volunteers pose for a group shot in New Orleans. 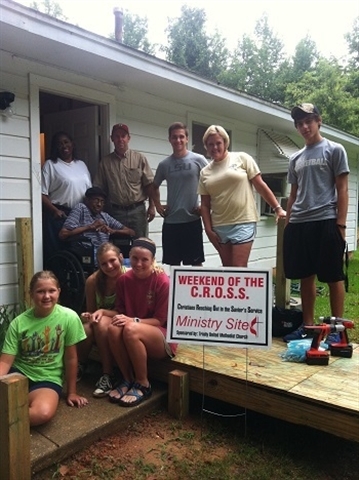 Participants are shown with homeowners during the Ruston Weekend of the Cross.